Our first event of 2017 will be an informal gathering in College Hall on Thursday 19th January to hear our Honorary Librarian, Mr Roy Miller, discuss our founder Maister Peter Lowe and the town of Glasgow, c1599. 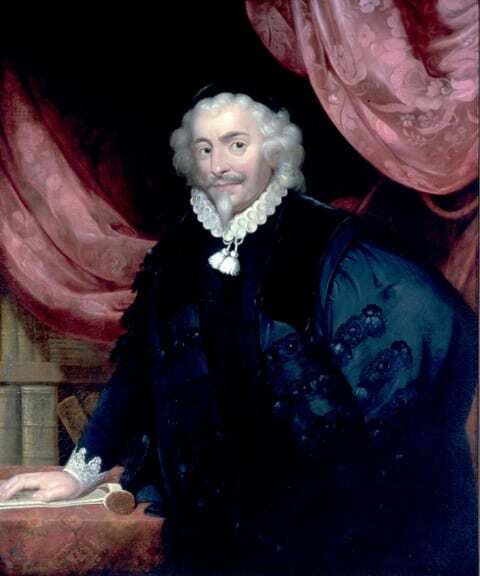 We will hear about the background of this intriguing man, his arrival in Glasgow from France in the 1590s, and what compelled him to petition King James VI to set up what became the Royal College of Physicians and Surgeons of Glasgow in 1599. Lowe’s education and surgical training in France, and his writings on the practice of surgery, played a key role in how medicine and surgery developed in Glasgow at this early stage. The event will take place in our College Hall, which features portraits of our founding members and of James VI. 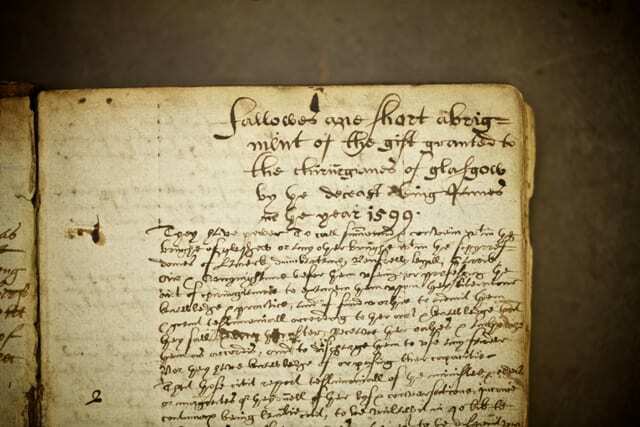 In addition, there will be a pop-up display of historical collections relating to our early history, for example our first Minute Book (1602 – 1688), rare copies of Peter Lowe’s 16th century surgical texts, and a pair of gloves belonging to the founder. Our event is part of St Mungo Festival, now in its ninth year, which celebrates the life of St Kentigern, better known as St Mungo, patron saint of Glasgow. Find out more about the Festival and its programme of events at the St Mungo Festival Facebook page. To book – Email library@rcpsg.ac.uk or phone 0141 221 6072. This is a free event but places are limited.